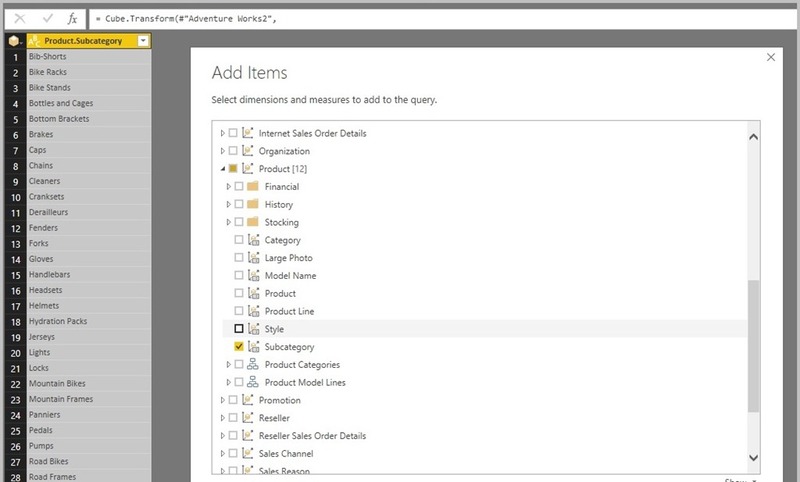 This entry was posted in Analysis Services, Desktop, Multidimensional, Power BI, PowerQuery and tagged AttributeMemberId, Cube by Gerhard Brueckl. Bookmark the permalink. Thanks a lot. At least I know now that I can use the Cube.AttributeMemberId function. I hope Microsoft will fix the Cube.AttributeMemberProperty function. 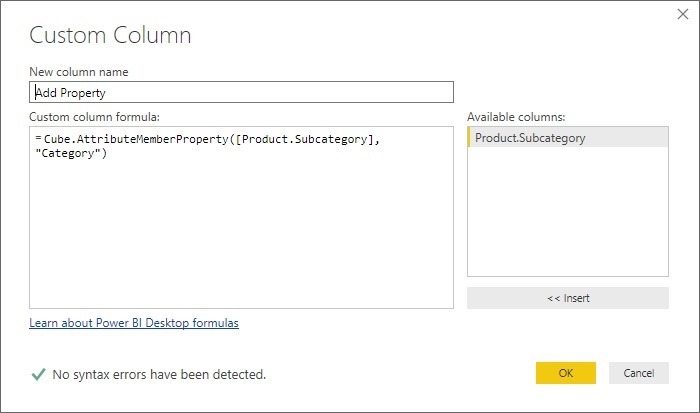 Most of our data sources are SSAS MD cubes, and we dearly need a better integration of PowerBI with this source type.